WASHINGTON – Endangered Revolutionary War and War of 1812 battle sites, including locations throughout the South, could get federal preservation grants under a bill passed this week by the House. “There’s a fundamental misconception that the American Revolution and War of 1812 took place only in the Northeast,” explained the bill’s sponsor, New Jersey Democratic Rep. Rush Holt. 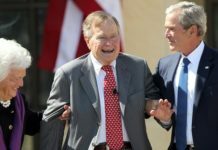 “In truth, the story of the American Revolution and the War of 1812 crisscrosses 33 states, from New York to Louisiana, from Georgia to Oregon,” he said. But he also pointed to a 2007 National Park Service study on the state of 677 battlefields from the two wars. 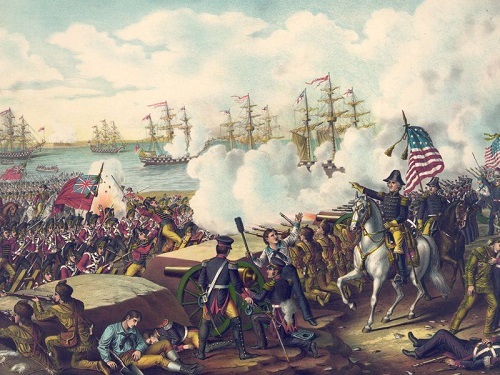 That study, among other things, recalls how a Spanish-led force of Americans, Indian tribes, free blacks, and Spanish soldiers effectively eliminated British presence in the Gulf of Mexico during the Revolutionary War battles of Baton Rouge, Mobile and Pensacola. The report also described how in 1813 then-Maj. Gen. Andrew Jackson led an expeditionary force into East and West Florida to eliminate British and tribal supply routes tolerated by the Spanish. Holt’s measure, passed on Wednesday, is patterned after a Civil War battlefield protection program created in 1996. That program has provided more than $50 million in matching funds to state and local governments and non-profit organizations through the Park Service to acquire land and preserve sites threatened by sprawl and commercial development. Renewal of that Civil War battlefield program was also approved by the House Wednesday. Together, the two programs would provide through 2013 another $20 million in grants a year — $10 million each. Both bills await action in the Senate, where they do not yet have sponsors. Holt said it was an oversight not to include the Revolutionary War and War of 1812 sites within the “umbrella” of the original 1996 bill that protected the Civil War battlefields. “Now is past the time to do it,” he said. Rush pointed to the Park Service study that said of the battlefields and related sites from the two wars, 99 are lost forever and 234 are now fragmented or in poor condition. Parks Service surveys also indicated that as many as 170 sites, especially those located in rapidly developing areas, will face injury or destruction in the next decade.